There is a characteristic surface morphology exhibited by many Valles Marineris landslides despite their diverse ages. It consists of an (upslope) inner zone with rotated blocks, and a long-runout outer (or distal) zone, characterized by thin sheets spreading over 10s of km across the trough floor, marked by longitudinal grooves (Image 1). This outer zone morphology is similar to that of exceptional terrestrial landslides (Image 2) (e.g. Lucchitta, 1978), and requires an unusual transport mechanism (e.g. Legros, 2002). The role of basal lubrication by water, ice, snow, evaporates, and dry granular flow in this long-distance transport has been debated for four decades (e.g. 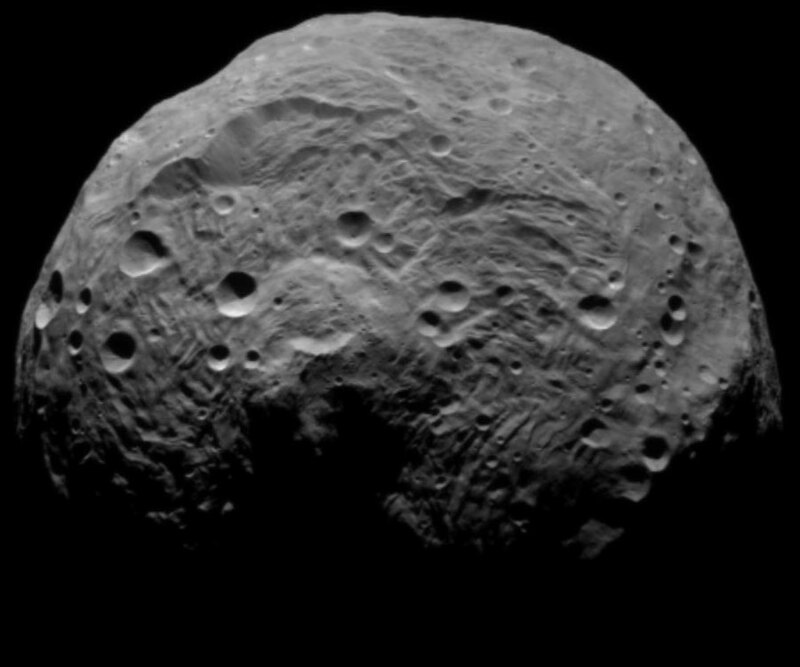 Lucchitta, 1978; Harrison and Grimm, 2003; McEwen, 1989), each with important implications for past Mars surface conditions. Recently, the mineralogic composition of the basal sliding layer of a Valles Marineris landslide was directly examined with spectral data for the first time (Watkins et al., 2015). 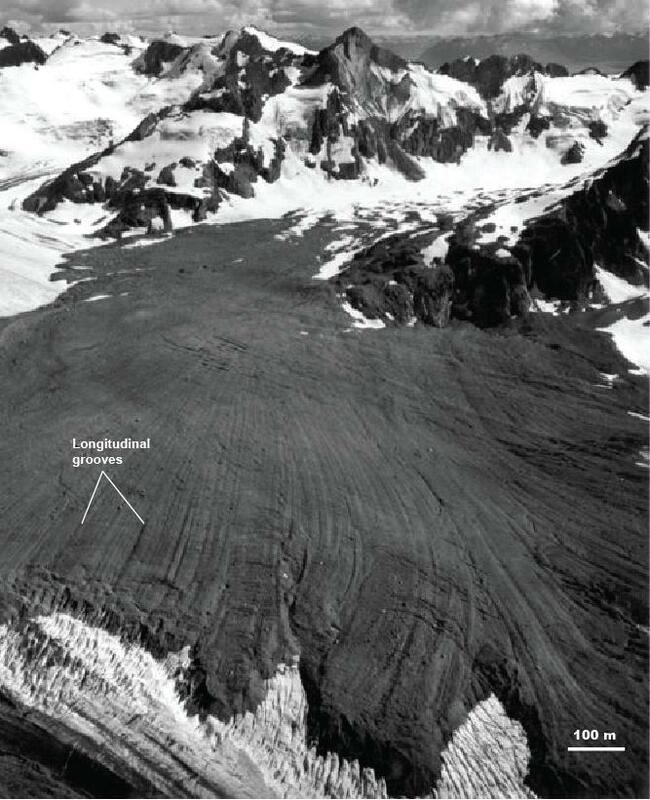 Image 2: Sherman landslide near Cordova, Alaska, emplaced across the Sherman Glacier (view is to the southeast). This terrestrial long-runout landslide example exhibits similar longitudinal grooves to those of Valles Marineris landslide outer zones (see Image 3). 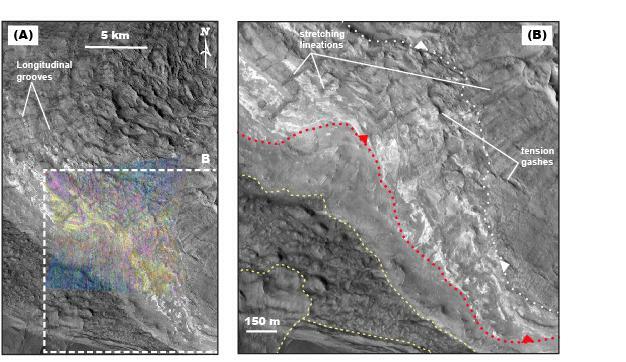 Geologic units exposed at the eroded landslide outer zone toe in Ius Chasma were found to contain morphological and structural evidence of pervasive deformation, indicative of the basal sliding zone (Image 3) (see Watkins et al., 2015). Near-infrared spectral signatures of these units are consistent with hydrated silicate material and Fe/Mg phyllosilicates (Image 3). Other landslides in Valles Marineris with clay minerals detected in their outer zones have similar morphology and mobility, suggesting that they may have been generated by a similar process. This discovery suggests that clay minerals played a key role in the formation of Valles Marineris long-runout landslide morphologies by lowering the basal friction. 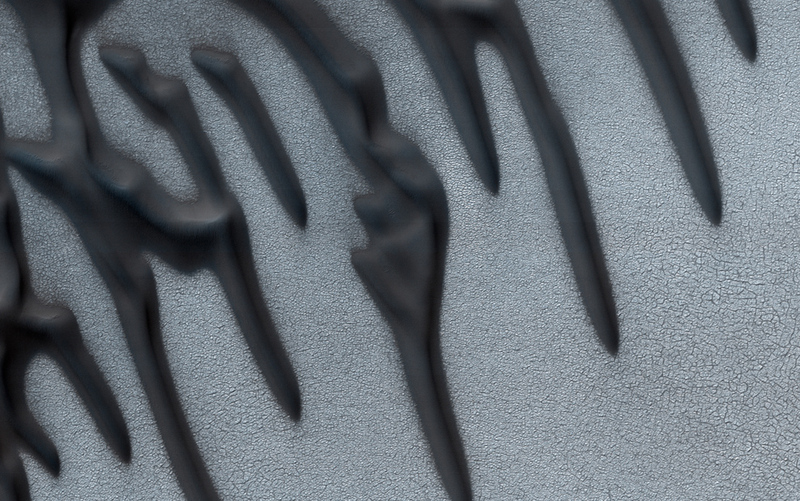 Smectite clay absorbs water into its layered crystal structure and even in relatively small abundances, can reduce the coefficient of friction by a factor of three relative to values of dry rock (Saffer and Marone, 2003). It is proposed that clay minerals were produced by alteration of trough-wall rocks in the more humid Noachian and Hesperian (4.1-3.3 Ga), and later transported to the trough floor (e.g. Roach et al., 2010). Weakened trough-wall rock then moved downslope as a landslide, while the highly fractured frontal landslide mass overrode and entrained the low-friction clay-bearing floor deposits, thus facilitating extensive lateral spreading and long-distance transport (see Watkins et al., 2015). These new findings indicate that the water activity that generated clay minerals up to 4 billion years ago has had an enduring impact on fundamental processes that shape the Martian surface even at present. Image 3: (A) Summary spectral parameter map of Compact Reconnaissance Imaging Spectrometer for Mars (CRISM) full-resolution target image FRT0000B939 (R: BD1900, G: Doub2200, B: D2300), where Fe/Mg smectites are magenta, hydrated silicate material is yellow-green, overlain on Context Camera (CTX) image P07_003606_1727_XN_07S079W. (B) Interpreted geologic features of a basal section of the landslide based on CTX image in A. Dashed red line is trace of basal sliding surface; dashed white line is trace of an intra-landslide sliding surface; yellow lines are unrelated geologic contacts. Harrison, K.P., and Grimm, R.E. 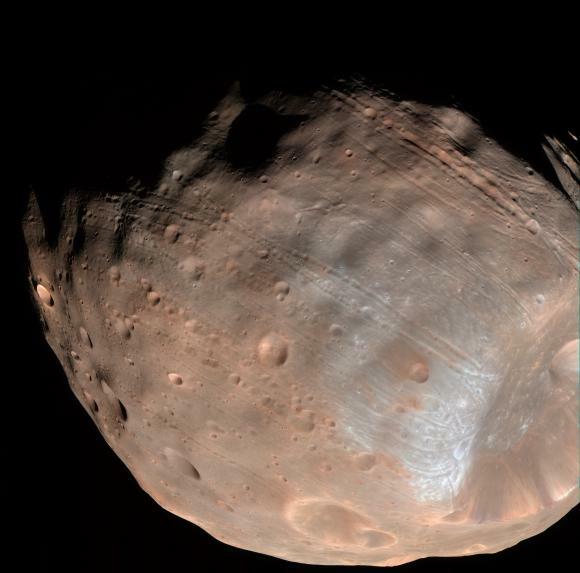 (2003), Rheological constraints on Martian landslides, Icarus, 163, 347-362. Legros, F. (2002), The mobility of long-runout landslides, Engineering Geology, 63, 301-331. Lucchitta, B.K. (1978), A large landslide on Mars, Geological Society of America Bulletin, 89, 1601-1609. McEwen, A.S. (1989), Mobility of large rock avalanches: Evidence from Valles Marineris, Mars, Geology, 17, 1111-1114. Quantin, C., Allemand, P., Mangold, N., and Delacourt, C. (2004), Ages of Valles Marineris (Mars) landslides and implications for canyon history, Icarus, 172, 555-572. Roach, L.H. et al. (2010), Hydrated mineral stratigraphy of Ius Chasma, Valles Marineris,Icarus, 206, 253-268. Saffer, D.M., and Marone, C. (2003), Comparison of smectite- and illite-rich gouge frictional properties: Application to the updip limit of the seismogenic zone along subduction megathrusts, Earth and Planetary Science Letters, 215, 219-235. Watkins, J.A., Ehlmann, B.L., and Yin, A. 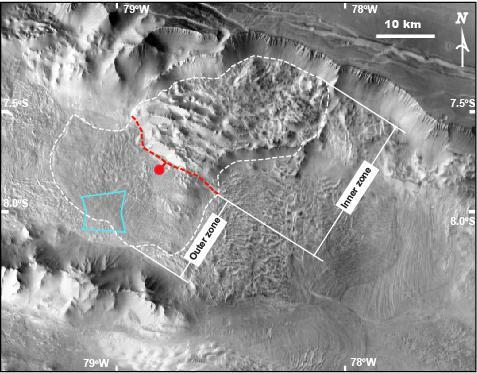 (2015), Long-runout landslides and the long-lasting effects of early water activity on Mars, Geology, 43, 107-110.